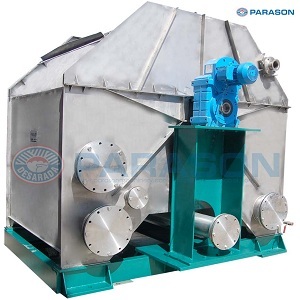 Parason Disc Thickner works as a gravity filter and does not require any barometric legs for creating vacuum . it can be installed at lower elevation. Stock enters into the inlet chamber and directed in between two mesh covered disc. The level difference between feeding and filtrate chambers provides the necessary hydraulic pressure difference for a water / solid separation. water drains through the mash.